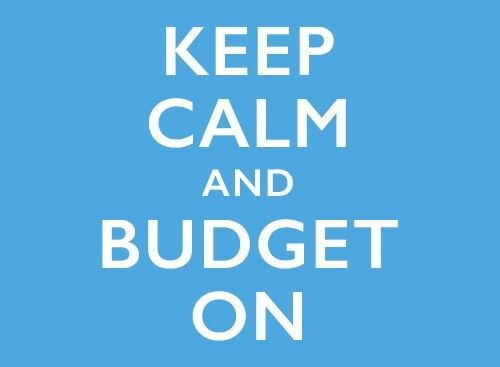 Lately, we’ve been getting a lot of questions about some of the specifics of our budgeting strategies. 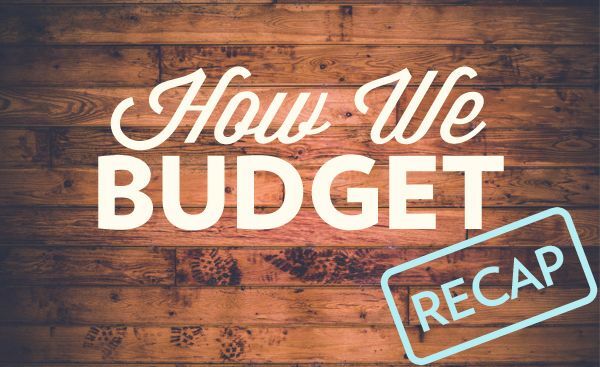 And while we’ve covered the specifics here and there, it’s high time we recap the ins and outs of how we budget. 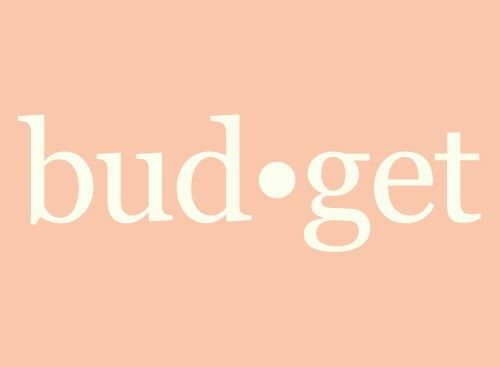 For day-to-day tracking, we use the HomeBudget app, which syncs to both of our phones and keeps the budgeting process fairly painless, while still holding us accountable. Johnny also tracks our net worth from month to month with a really nerdy Google Doc spreadsheet he created. It tracks how much we’ve gained overall in savings and investments and allows him to geek out. As much as possible, Johnny and I try to guesstimate variable expenses from month to month, such as gifts, that must-have wolf shirt, or a last-minute weekend away to stave off work burnout. At the beginning of the year, we decide how much we’ll spend on gifts for our immediate family (x amount on sibling gifts, y amount on parent gifts, z amount on nieces, etc.). And depending on the number of birthdays each month, we tweak our budget accordingly. We also calculate how much we plan to spend on vacationing for the year. 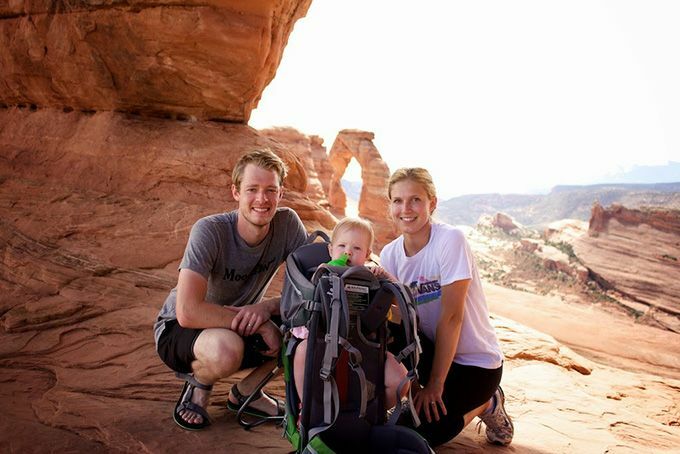 For instance, this year we plan to have a few weekend getaways, go on a summer vacation, and attend a wedding in DC, so we created a budget that we have to stay within for all of those trips. And that is how it’s done, in the OFB household at least. Any other questions on our budgeting specifics? Care to share any budgeting strategies of your own? I love this “everything else” category. After you wrote about it the first time, we adopted it and haven’t looked back since! Awesome. So happy to hear it’s working for someone else, too! I pretty well budget at the detail expense level like you guys do. That said, however, I also record the monthly / yearly details in yearly spreadsheets so that I can more easily spot any trends that may occur from time to time (eg., car mtce costs starting to exceedingly increase which usually means that we have to start planning on the purchase of our next car – the money for which we also gradually set aside in our monthly budget – ie., car replacement fund). I find that this “trend analysis” procedure allows me to better estimate our next month’s budget items, some of which are seasonally affected. Joanna, with your new stay at home role, I guess that you guys are in the process of tweaking your budget accordingly, due to resulting changes in family income / expenses, correct?. Oooh, I like how you think! That level of nerdy spreadsheeting would be right up Johnny’s ally! I’ll be *strongly encouraging* him to start doing this. And, yes, we’re playing around with some different categories right now to see where we can save. 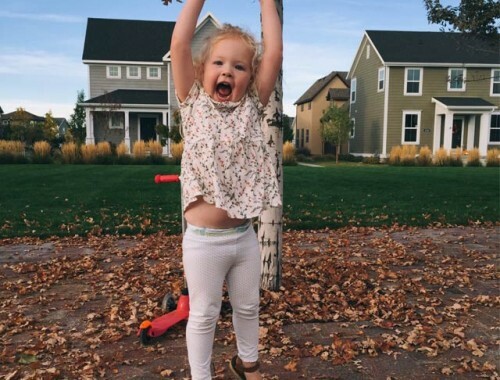 First, I love your blog! I always look forward to new posts, and I re-read old ones for inspiration. One question I have: when you track spending in an itemized budget, do you mean that, under “Food” category, you put in “Panera sandwich- $2.50″, “Milk- $1.25″, “Apples- $4.50″, etc. Do you track everything that specifically? Or, add up what you spent on food at the end of the day and just deduct that from the budgeted amount on your spreadsheet? We track each transaction individually, but not necessarily every item. So if I go to Target and spend $50 on groceries, I simply enter “Target – $50″ under the Grocery category. If I also happen to get a cute shirt at Target, I enter “Target -$50″ under Grocery and “Target – $20″ under Clothing. Your question made perfect sense to me, and hopefully my answer does the same for you! Nice! I like how you guys separate “Everything Else” from “Emergency”. I noticed that you guys use the HomeBudget app. Have you two ever tried using the app, Mint before? If so, which one do you think works better when dealing with a tight budget? Yes, we do use Mint also. While we like looking at Mint at the end of the month to see the overall picture, we feel like entering our expenses in manually in an app like HomeBudget is more effective for keeping us active in our budgeting. Mint does all the work for us, which while nice, doesn’t keep us on track as well. For tight budgeting, manually tracking each and every expense has been the way to go for us. I just started following your blog. I notice you use the HomeBudget app. I have the lite version of the app and was wondering if you use the paid version. It seems like a great app but I don’t know if it’s worth purchasing the paid version. Do you have any input? Thank you! Good question, Krista! We do have the paid version. The reason we decided to do the paid version was that we could sync it between both of our phones. If it’s just you using the app, you probably don’t need that feature. To be honest, we’ve never paid for any other app besides that one! But it was important for us to keep up our budget the best we could. Hope that helps! Do you both have to buy the Homebudget app (i.e., $4.99 per user)? Unfortunately, the answer is yes. BUT… if you stick to tracking your expenses and keeping a budget, I can guarantee you that $10 will be one of the best investments you ever make. And this is coming from a guy who never ever ever buys apps.